Suman is a rice cake originating from the Philippines. It is made from glutinous rice cooked in coconut milk, and often steamed in banana leaves. It is served wrapped in buli or buri palm (Corypha) leaves and usually eaten sprinkled with sugar. Aside from sugar, other items that are paired with suman are ripe managoes or tablea de cacao. Suman is also known as Budbud in Visayan dialects in other parts of the Philippines. There are several varieties of Suman such as: Binuo (Suman sa Binuo), Suman sa Ibus, Suman sa Inantala, Sumang Kamoteng Kahoy, Suman sa Lihiya, Suman Wilmacale. Suman wrapping is a unique art in itself, and can be traced to pre-colonial roots which have had contact with Indian traditions. Wrappers utilize a wide variety of indigenous materials such as palm, banana, anahaw and bamboo leaves, coconut shells, and others. Some wrappings are simple folds such as those found in the binuo and the kamoteng kahoy, resulting in rectangular suman. Others are in vertical coils like the inantala, giving it a tubular form. Still others are in pyramid-like shapes, like the balisungsong. 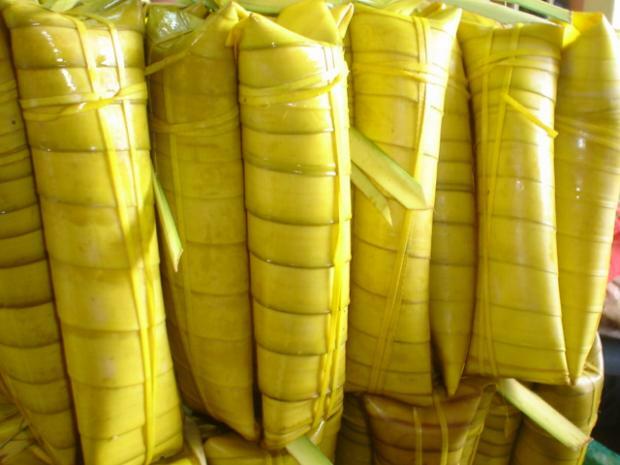 Some forms of suman are eaten like ice cream–with cones made from banana leaves, and still others are in very complex geometric patterns like the pusu ("heart"). Some are woven into the shape of a banana blossom (which in the Philippines is referred to as the banana plant's "heart"), or the pinagi (from the word pagi, meaning stingray), a complex octahedral star. Click here to view the COMPLETE RECIPE. 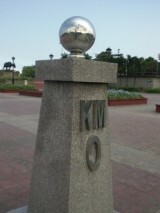 The flagpole located in Rizal Park, is where the starts of 0 kilometer reading in measuring all distances from Manila.